Meet Patty. Patty is a 9 week old Rhode Island Red that was supposed to be a girl. We had our suspicions early on that "she" was possibly a "he" when the comb and wattles started appearing at only a few weeks of age. Now Patty is crowing for us randomly in the mornings. So yeah. I guess we've got ourselves a rooster. We'll see how it goes... we had no intentions of getting a rooster when we bought our six chicks a few months ago. We hadn't planned their living arrangements with a rooster in mind (they are currently all living in a chicken tractor -- a mobile coop -- which is plenty roomy enough for six hens but a little ify for a rooster in the mix). Right now we are just letting him be and hoping he behaves himself down the road. If not, "Patty" will be unfortunately finding a new home. In the meantime, The Boy has renamed him Kung Pao Chicken. Speaking of food (yeah, poorly planned transition there, I know)... I'm finding that my hopes of mixing my own whole grain organic feed for our laying hens is going to be more challenging than I had expected. I didn't realize how difficult and expensive it would be to find organic whole grains such as hard red wheat, corn and black oil sunflower seeds. Geez! I thought I had searched enough and settled for what appeared to be a well balanced, tried-and-true mix recipe, but I'm back to the drawing board. You'll find some of the links we've been eyeballing under our resources tab. If you have any to add to the mix, please please please send them my way. It's looking more and more like we'll have to consider traveling outside of our area to pick up organic whole grains if we can find them or pay out the you-know-where to have them shipped to us. Or, we could settle for a commercial organic processed feed... but the same applies: travel to get or pay to ship. All because we want real organic eggs. Why should that be so difficult? It's quite disconcerting that getting our hands on real, natural, organic whole grains is so hard. It shouldn't be, by any means. But both The Boy and I believe it can be done, and we're still heading strong in that direction. We'll keep researching recipes, ingredients, formulas, percentages of this-n-that and hopefully in the end be able to produce what we are looking for. Where there is a will, there is an egg... right? Or something like that. 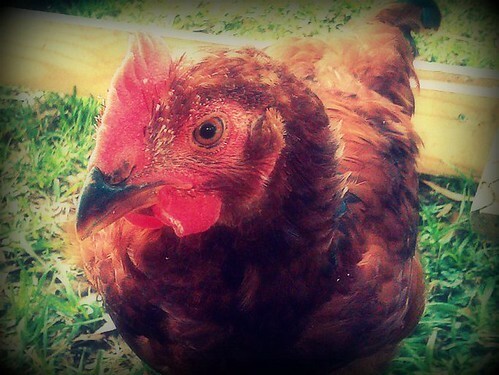 Check out www.backyardchickens.com lots of information on obtaining organic feed. I use Coyote Creek in Elgin, TX not sure if that helps. Don't worry, we're a big fan of BYC and haunt it regularly! Endless help and information there. I am also a big fan of BYC, spent many hours on there. Good luck on your search for organic feed.